I never heard my daddy cuss. He was a war veteran who supervised a warehouse full of blue-collar workers, but not once in my life did I hear him let go with a string of expletives. Not so his youngest son. 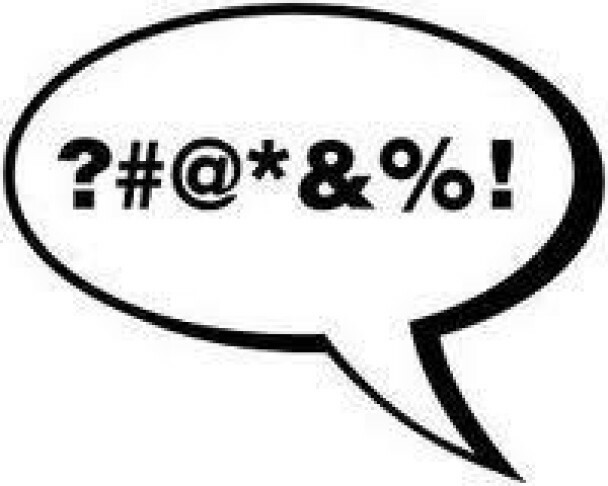 Beyond earshot of my non-cursing parents, I learned a plethora of off-color words that became part of my vocabulary at an early age. In fact, as little boys, we used to take great pride in using new words we learned to say, even if we didn’t know what they meant. By the time we were in high school, we could rattle off a disgusting diatribe of dirty words that would make a sailor blush. Indeed, serving in the military only enhanced my repulsive repertoire. So the other day I decided to see just how many dirty words I could string together without taking a breath. The number was 28. Nothing to be proud of, mind you. But it’s the truth. As I grown and matured, of course, I’ve learned to harness the flow of cusswords and use them with discretion. They can, you see, be very useful when trying to get certain points across to certain people. Especially people who aren’t listening or need special motivation. I was also in the newspaper business, which means I lived in a world where deadlines, gruesome stories and other frustrations brought forth some words you would never see printed in a family newspaper. And then there’s the sports world, where I worked for decades. This enabled me to earn the equivalent of a master’s degree in cursing. There’s a reason TV networks are wary of putting microphones too close to athletes in the heat of competition. Naturally, having been raised a mediocre Methodist, I learned the rules and remember one that spoke specifically to this issue. But, quite frankly, it’s not the first Commandment I’ve broken and might not be the last. 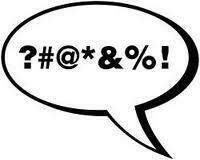 Over time, however, I’ve developed an on-off switch for cussing. I can turn it on when a good curse word will expedite the situation, and turn it off when I’m in polite company. Unfortunately, some people have no filter and shouldn’t be allowed in public with that mouth. Others have favorite little expressions they save for special occasions, usually for shock value. Little old ladies are among the best. They can look so innocent, then cut you to shreds with a few well-delivered cusswords. It’s an art form, really. One you probably know how to use, too. Just for a moment, start mentally listing all the dirty words you know. You don’t have to say them out loud, just admit that you know them. And remember, it doesn’t mean you’re a bad person; it just means you play golf.